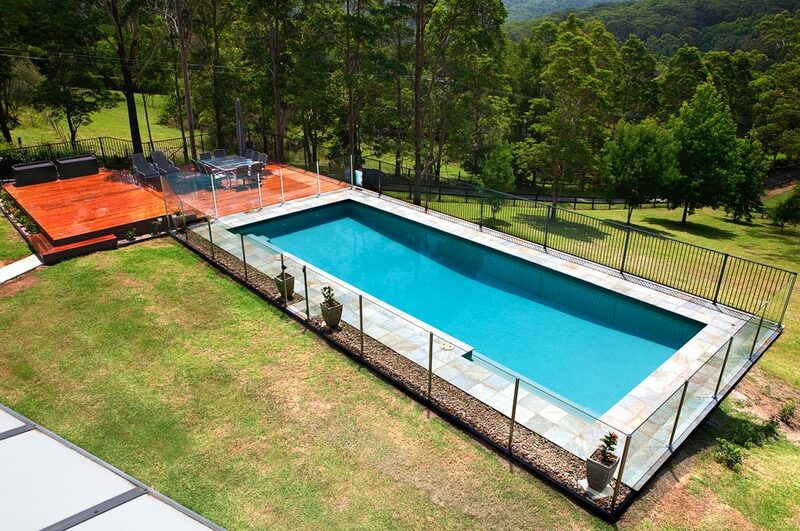 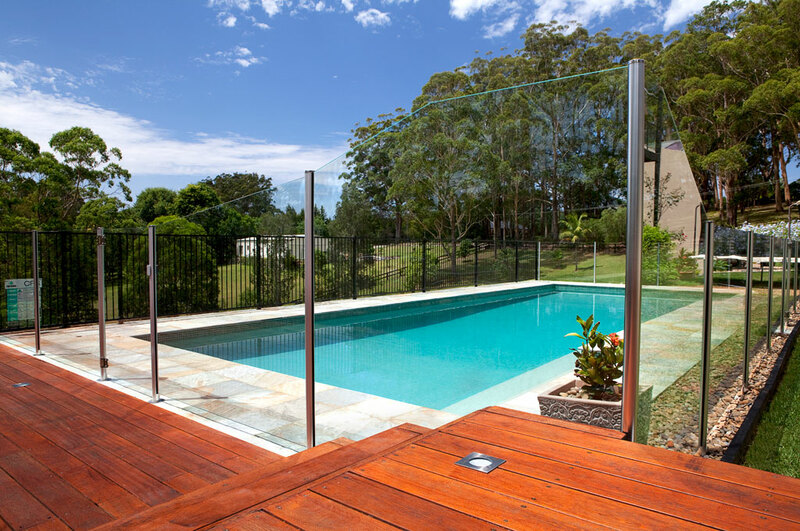 This above ground lap pool and is surrounded with timber decking and extends usable leisure area of this property. 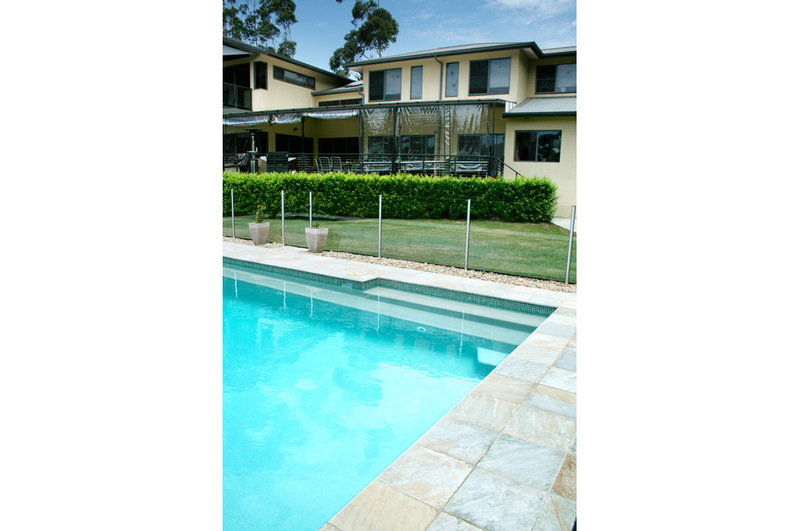 As the ground slopes away the pool extends out over the slope maximising the area and transforming the property. 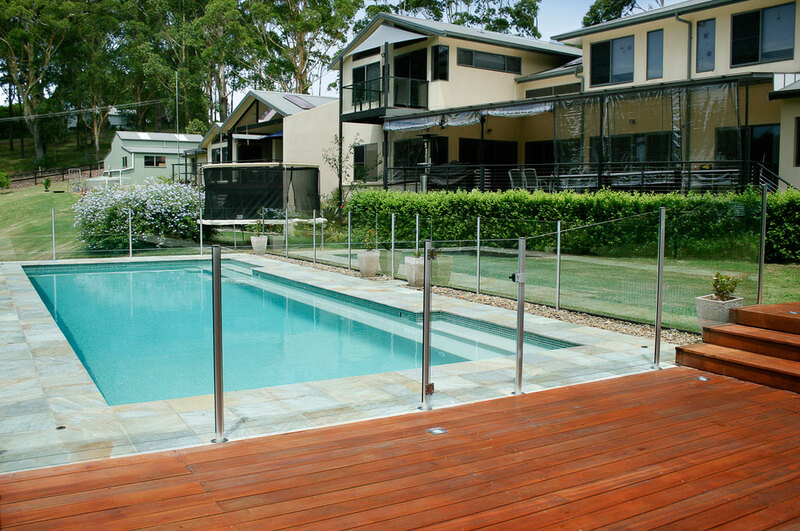 Extended walkways are cantilevered out from the pool. 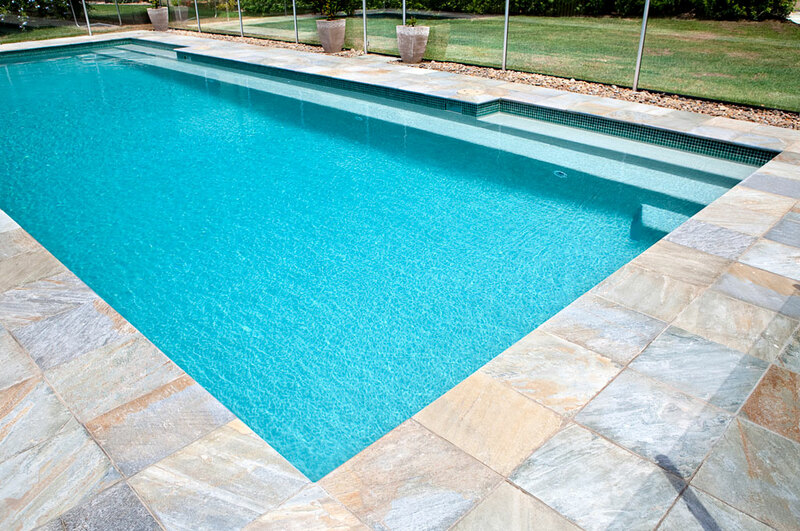 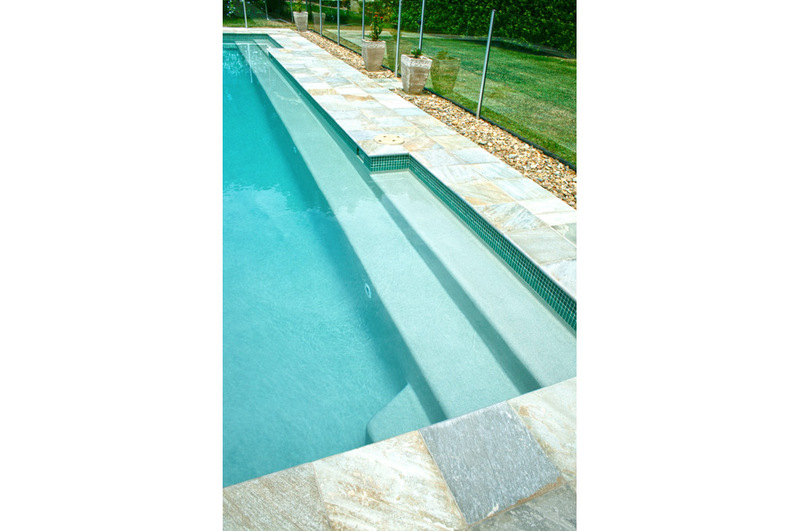 The use of a Green Waterline tile and a green lining (Silkstone Norfolk) allow the pool to blend into it’s surroundings with a natural stone paver. 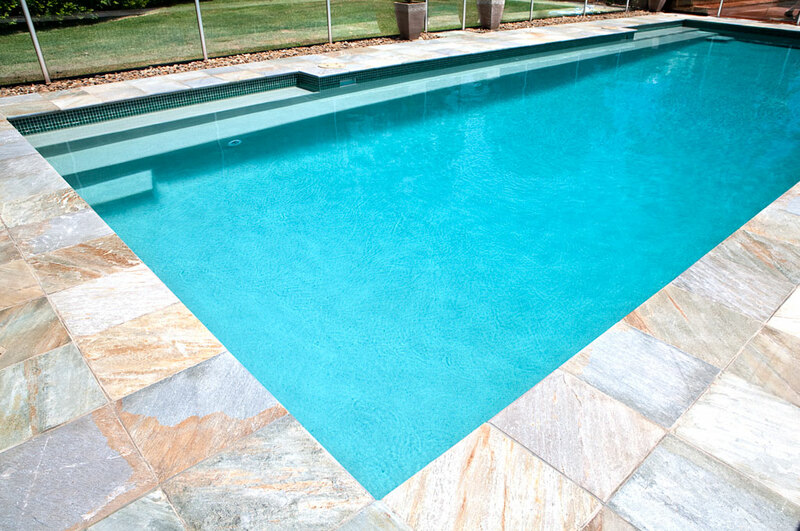 The north side of the pool is totally out of ground and is painted black to absorb the natural sunlight and increase ambient water temperatures.